Two weeks ago was my daughter’s birthday, I checked with her what kind of birthday gift you want this year. As you know every year of the day, we prefer to buy one gift which is very useful and more valuable, on the one hand to helping her life easier, on the other hand to make her happy. She sent me message by wechat, she wants to change one bigger washing machine, she sent me the link of item, wow, and washing machine cost is at least 5 to 6 thousands, I know her machine is pretty new and nothing wrong, how about the old one? No enough space for two machines at her apartment, I have one child in my family, since each of her birthdays we tried to satisfied her need, but this was really to my surprised, I had been kindly refused her request, I asked her politely, could you change other one instead, due to the current machine can be still used. My daughter was so understand and said, May I ask for a Dyson hair dryer? I thought the dryer could be no problem, ok I said immediately. I see Dyson is a very famous brand of England. Recently years Dyson products have been into Chinese families gradually, I have a Dyson cleaner wireless which is very popular right now, which is breaking the old one with long wire and big noise. After I checked the price of dryer, the cost is about three thousands each, surprised me, One dryer is cost a lot, but how can I refused her again at the birthday, I called her warmly, let me asked you one question before I bought for one, how often you can use it? 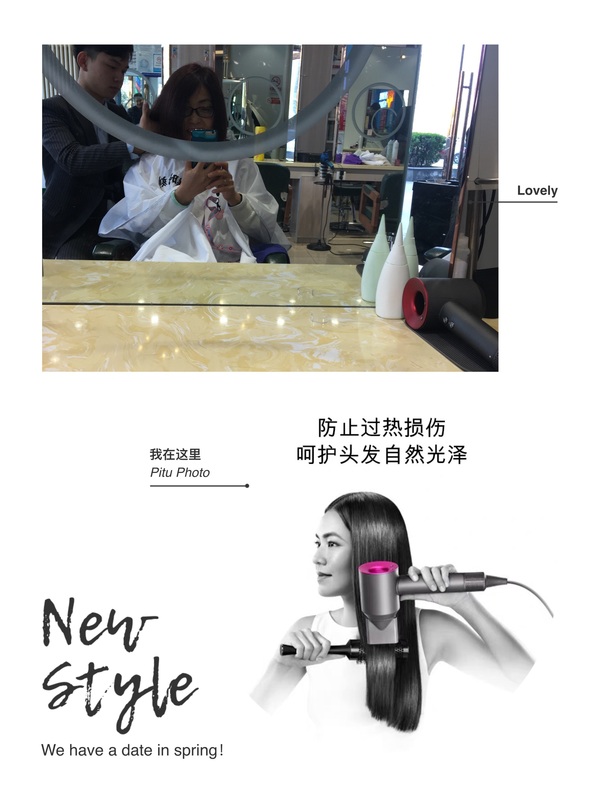 You have no long hair, every morning you curry up for work, I believe you don’t have much time for your hair on each day, so it is not good one, I did not mention the price is a little beyond my budget. She kept silent and said nothing, I knew she was very disappointed, but she has to know my point is reasonable. The birthday was coming, I told the thing to Tiger, He was totally agree my suggest. He transferred money to her account in cash instead of the gift, Money is only a number, tell nothing, I know she must be complain my action. At the last week, I went to a barber for my hair, the hairdresser was using a Dyson dryer for me. It is so elegant with some different function of heads. He told me I was the first guest using new Dyson dryer, this was my first time to see it, I thought that’s why my daughter like it so much. I promised I will buy it for her at next birthday to cover my regret. Is it an advertisement ? sys: Is it an advertisement ? can be say it is? but what I wrote from my heart. it is the good one. All of you thought I was doing the advertisment for Dyson, maybe yes, why not? I may ask for the payment.